In an ironic twist, big oil companies are reversing their decades long denial that climate change is real when their factories and refineries are threatened by its effects. One hot summer does not a changing climate make, but the trend in the global data is now irrefutable. When Michael Mann published the “hockey stick” graph back in 1998, there was vociferous public pushback, yet the observed temperature rises match what Mann had predicted. Today’s hockey stick graph isn’t a forward projection but a historical record. The world has been getting hotter, and it will continue to do so. The only question now is how much hotter it gets. Big oil companies have denied the reality of climate change for decades – despite overwhelming scientific data supporting it and despite the fact their own research confirmed that data. Exxon made the news in September and October of 2015 when research produced by InsideClimate News, the Los Angeles Times, and the Columbia Graduate School of Journalism revealed that Exxon had known since the 70s about the causes of climate change and the dangers climate disruption poses. 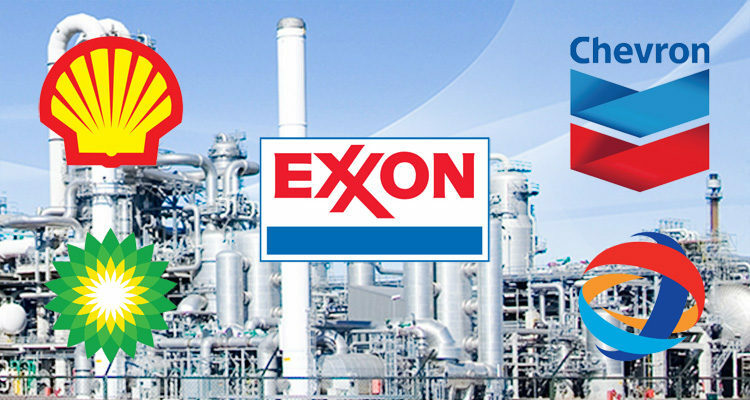 The articles spurred a wave of actions against Exxon. Fast-forwarding to this year, the Associated Press recently reported that big oil companies are seeking government funding to protect their refineries from the effects of man-made climate change. As the nation plans new defenses against the more powerful storms and higher tides expected from climate change, one project stands out: an ambitious proposal to build a nearly 60-mile “spine” of concrete seawalls, earthen barriers, floating gates and steel levees on the Texas Gulf Coast. Ironically, Republicans such as Sen. Ted Cruz of Texas support the idea of public funds being used to save big oil – although he consistently disputes climate change’s validity and despite the fact that he is an outspoken critic of federal spending. But the idea of taxpayers around the country paying to protect refineries worth billions, and in a state where top politicians still dispute climate change’s validity, doesn’t sit well with some.